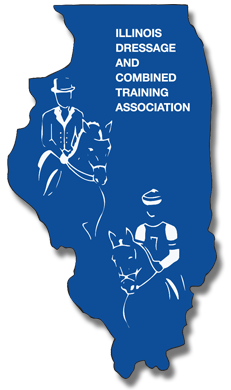 ILLINOIS DRESSAGE & COMBINED TRAINING ASSOCIATION, INC. The name of the organization shall be ILLINOIS DRESSAGE & COMBINED TRAINING ASSOCIATION, INC. (IDCTA), organized under the laws of the State of Illinois as a not-for-profit corporation, tax status of 501 C4, and hereafter referred to as Corporation. Section 1 – The purpose of the Corporation shall be to foster an interest in dressage and eventing among horsemen and horsewomen in the general area; to encourage the gradual harmonious development of the horse’s physical and mental condition with the aim being to achieve the improvement of its natural abilities and a perfect understanding with the rider. Section 2 – The Program of the Corporation shall be education and shall be designed primarily to offer a framework in which individuals can progress with the schooling of themselves and their horses in equestrian pursuits. Activities shall also be directed toward a better general understanding of dressage and eventing. The principal and registered office of the Corporation, required by The Business Corporation Act to be maintained in the State of Illinois, shall be IDCTA c/o Fields and Fences Equestrian Center, 36550 North Hunt Club Road, Gurnee, IL 60031; or as may be changed from time to time by the Board of Directors. Section 1 – REGULAR – Regular members are all persons twenty-two (22) years of age or older as of January 1 of the current year who have an active interest in the Purpose of this Corporation and who shall have paid their current dues and assessments as specified by the Board of Directors. Section 2 – YOUNG RIDER – Young Rider members are all persons under twenty-two (22) years of age as of January 1 of the current year who have an active interest in the Purpose of this Corporation and who shall have paid their current dues and assessments as specified by the Board of Directors. Section 3 – LIFE – Life members are those persons who have an active interest in the Purpose of this corporation and who shall have paid the necessary dues and assessments as specified by the Board of Directors prior to October 6, 2006. This membership option will no longer be offered. Section 4 – ASSOCIATE – Associate members are non-voting, non-office holding persons who shall have paid the current dues and assessments as specified by the Board of Directors. Associate members are entitled to receive the Scribe of this Corporation as their only benefit of membership. Residents of Illinois are not eligible for Associate membership. Section 5 – BUSINESS – Business members are members who are in a business related to the supply of goods, information, or services to the other members of the Corporation. This membership would entitle the holder to one (1) vote and one (1) Group membership through USDF. Section 1 – REGULAR – All Regular members in good standing shall be entitled to one (1) vote each at regular and special meetings of the membership; shall be entitled to one (1) vote each at all elections for Directors and/or Officers; shall be eligible to hold office after one (1) full year of membership; shall be eligible for annual awards presented by this Corporation; will be an Individual member in the USDF; and will receive the Scribe of this Corporation. Section 2 – YOUNG RIDER – All Young Rider members in good standing shall be entitled to the same rights and privileges of membership as Regular members except that a Young Rider member may not hold office . Section 3 – LIFE – While this is no longer offered as an option for membership, all personal who are Life members of this Corporation as of October 6, 2006 shall continue to have this same rights and privileges of membership as Regular members. Section 4 – ASSOCIATE – Associate members will receive the Scribe of this Corporation as their only benefit of membership. Residents of Illinois are not eligible for Associate membership. Section 5 – REMOVAL – Membership may be terminated by the Board for just cause. Such removal shall be subject to a 2/3 majority vote of the Board. Section 1 – ANNUAL MEETING – An annual meeting of the membership of this Corporation shall be held each year, on a date and at a place to be determined by the Board of Directors, for the purpose of presenting year-end awards sponsored by this Corporation, announcing the result of the election of the Officers and Board of Directors, and installing new Officers and members of the Board of Directors. Section 2 – REGULAR MEETINGS OF THE BOARD OF DIRECTORS – Regular meetings of the Board of Directors shall be scheduled on a regular basis, but in any event not less than once every two (2) months, on a date and in a location to be determined by the Board of Directors. The Board of Directors may elect to meet by conference call. Meetings by conference call shall follow standard conference call etiquette. These meetings shall be open to the general membership, unless said meetings are in executive session. The purpose of regular meetings of the Board of Directors of this Corporation shall be to conduct the business of this Corporation. (revised January 2015). Section 3 – SPECIAL MEETINGS OF THE BOARD OF DIRECTORS – Special meetings of the Board of Directors may be called by the President or at least six (6) members of the Board of Directors. Section 4 – REGULAR MEMBERSHIP MEETINGS – Regular membership meetings shall be scheduled once a year on a date and at a place to be open to all members in good standing with their guests. These meetings shall not be scheduled in conjunction with either regular and special meeting of the Board of Directors but may, at the discretion of the Board of Directors, be scheduled to immediately precede or follow any regular, special, or annual meeting of the Board of Directors or general membership. Section 5 – SPECIAL MEMBERSHIP MEETINGS – Special membership meetings may be called by at least six (6) members of the Board of Directors or by twenty percent (20%) of the membership including Regular, Young Rider, and Life members in good standing, on a date and in a location to be determined by the Board of Directors. Section 6 – EXECUTIVE SESSION – The Board of Directors may, at a regular or special meeting of the Board of Directors, upon a majority vote of the Quorum present, vote to close a meeting for executive session or to hold a closed meeting at a specified future date. This vote must be taken at an open meeting. Section 7 – QUORUM – For conducting business at any regular or special meeting of the Board of Directors, the presence of six (6) members of the Board of Directors and two (2) Officers shall constitute a Quorum. For any annual meeting, regular meeting of the membership, or special meeting of the membership, the presence of twenty percent (20%) of the voting membership, including members of the Board of Directors, Officers, Regular, or Life members shall constitute a Quorum. Section 8 – VOTING BY BALLOT – Voting on any issue except the election of Directors and Officers may be by voice, unless the presiding Officer shall order, or any member shall demand, that voting be by secret ballot. Section 9 – ISSUES PRESENTED – Any issues presented at regular or special meetings of the Board of Directors, or at regular or special meetings of the membership, which were not previously submitted to the President for inclusion on the agenda, may be tabled at the discretion of the presiding Officer and at that time be scheduled for the inclusion on the agenda for the next scheduled meeting of the Board of Directors or of the general membership, whichever applies. Section 10 – PARLIAMENTARY AUTHORITY – “Robert’s Rules of Order, Revised” shall govern all meetings of the Corporation, when not in conflict with these By-Laws. Section 1 – ANNUAL DUES – Annual dues must be paid in advance and received by the Corporation on or before January 1, the beginning of the Corporation’s fiscal year. Section 2 – AMOUNT OF DUES – The Board of Directors of the Corporation shall exercise its best judgment in setting an amount for the annual dues, bearing in mind the Purpose of the Corporation and its not-for-profit status. Section 3 – NEW MEMBERS – If a new member joins the Corporation between October 1st and January 1st of the following year, then such member shall not be liable for annual dues for the following year but shall be ineligible to vote in the upcoming election. Section 1 – DIRECTORS AND OFFICERS – The Board of Directors consists of five (5) elected Officers (see Article X) and no less than seven (7) nor more than eleven (11) elected Regular members. Members of the Board of Directors and Officers of this Corporation must be members in good standing of this Corporation and shall be elected by those persons who are members in good standing of this Corporation and who are eligible to vote. The means for this election shall be by electronic ballot or, upon written request for a paper ballot, by paper ballot. Requests for paper ballots must be received by an Officer or Director no later than November 1. Directors and Officers must be aware of the demands of the position and agree to accept and fulfill fiduciary and other duties incumbent upon the positions. Specifically, they are to attend scheduled meetings, participate in (1) or more committees and be available to help as volunteers as time permits. Section 2 – BALLOTS – Ballots approved by the Board of Directors shall be mailed or made available electronically to all eligible voters by October 20th. Each ballot shall provide a space for write-in names equal to the number of vacancies to be filled. The Nominations Chairperson will be responsible for the verifying the electronic tabulation of election results and including the votes on any paper ballots that are received before the Closing Date. Election results shall be verified additionally by one (1) member of each Committee and one (1) Board member or Regular member. Section 3 – CLOSING DATE – Ballots for election of Directors and Officers must be cast electronically on or before November 20th. Paper ballots must be received by the Nominations Chairperson or its designated agency on or before November 20th. Ballots cast electronically or received after such date shall be declared invalid and shall not be counted. Section 4 – TABULATION – Ballots cast electronically will be automatically tabulated by the voting application. The Nominations Chairperson and representatives from each Committee shall verify the electronic tabulation, including any valid paper ballots, and advise the President of the results of the election on or before December 1st. Both paper and electronic Ballots shall be saved/archived electronically for a period of at least 13 (thirteen) months, after which time they may be destroyed. For Profit Act of the State of Illinois and shall be entitled to purchase insurance for such indemnification of Officers and Directors to the full extent as determined from time to time by the Board of Directors. Section 1 – GENERAL POWERS – The Board of Directors shall manage the business affairs of this Corporation. Section 2 – NUMBER AND QUALIFICATIONS – The number of Regular members of the Board of Directors of this Corporation shall be no less than seven (7) nor more than eleven (11). To be eligible to be nominated and elected, a candidate must be a Regular or Life member of this Corporation in good standing in the year prior to the year they will take office, and have a thorough working knowledge of the Purpose of this Corporation. Section 3 – TERM – The term of office for members of the Board of Directors shall be two (2) years. Terms shall be staggered so that alternately five (5) and six (6) terms are filled; five (5) terms in odd years and six (6) terms in even years. In the event it is necessary to fill more than six (6) Board of Director terms in one (1) year, the six (6) nominees receiving the highest number of votes shall be elected for a term of two (2) years. Each member of the Board of Directors shall hold office until his/her successor is elected and installed. Section 4 – MANNER OF ACTING – The act of the majority of the Board of Directors at which a Quorum is present shall be the act of the Board of Directors. Section 5 – VACANCIES – In the event of the death, resignation, or removal of a member of the Board of Directors, said vacancy shall be filled by appointment by the Board of Directors at its next regularly scheduled meeting. This appointment will last only until the next annual election of Directors at which time any remaining expired term shall be filled in conjunction with the general election. Section 6 – PRESIDING OFFICER – The President or Vice-President(s) of this Corporation shall preside at all meetings of the Board of Directors. Section 7 – REMOVAL – The removal of any director from office may be initiated by either the membership of the Corporation or its Board of Directors. Any director may be removed from office, with or without cause, by the affirmative vote of two-thirds (2/3) of the votes present and voted, either in person or by proxy, at a regular or special membership meeting. A director may only be removed by such vote if written notice of such a meeting is published in the Scribe at least one (1) month prior to the membership meeting. Such notice shall state that a purpose of the meeting is to vote upon the removal of one or more directors named in the notice. Only the named director(s) may be removed at such a meeting. Any director may also be removed from office by the Board of Directors whenever in its judgment the Board of Directors determines that the removal serves the best interest of the Corporation. A director will be removed upon at least a vote of three-fourths (3/4) of the Board, followed by a ratification vote of three-fourths (3/4) of the votes present and voted by ballot mailed to all eligible members. A director may be removed in absentia. Any such vacancy created by said action of the Board of Directors shall be filled in accordance with By-Laws. Section 1 – NUMBER AND QUALIFICATIONS – The Officers of this Corporation shall consist of President, Vice Presidents (Eventing and Dressage), Secretary, and Treasurer. To be eligible to be nominated and elected, a candidate must be a Regular or Life member of the Corporation in good standing for one (1) year and have a thorough working knowledge of the Purpose of this Corporation. Section 2 – TERM – Each Officer shall hold office for a term of two (2) years or until his/her successor is duly installed. Section 3 – VACANCIES – In the event of the death, resignation, or removal of any Officer, such vacancy shall be filled by appointment of the Board of Directors. This appointment will last only until the next annual election of Officers, at which time any remaining unexpired term will be filled as part of the general election. Section 4 – REMOVAL – The removal of any Officer from the office may be initiated by either the membership of the Corporation or its Board of Directors. Any Officer may be removed from office, with or without cause, by the affirmative vote of two-thirds (2/3) of the votes present and voted, either in personal or by proxy, at a regular or special membership meeting. An Officer may only be removed by such vote if written notice of such a meeting is published in the Scribe at least one (1) month prior to the membership meeting. Such notice shall state that a purpose of the meeting is to vote upon the removal of one or more Officers named in the notice. Only the named Officer(s) may be removed at such a meeting. Any Officer may also be removed from office by the Board of Directors whenever, in its judgment, the best interest of the Corporation would be served. Said removal to require at least three-fourths (3/4) majority vote of the Board. An Officer may be removed in absentia. Any such vacancy created by said action of the Board of Directors shall be filled in accordance with the By-Laws. Section 5 – PRESIDENT – The President shall prepare agendas for regular and special meetings of the Board of Directors; shall preside over all meetings of the membership and the Board of Directors; shall be an ex-officio member of all committees, except the Nominating Committee; and, in general, shall perform all duties incident to the office of the President and any and all other duties as may be prescribed by the Board of Directors. Any Officer, member of the Board of Directors, or member in good standing may submit items for inclusion on the agenda no less than ten (10) days prior to the scheduled meeting. Section 6 – VICE PRESIDENT – In the absence of the President, either the Vice President of Dressage or the Vice President of Eventing shall perform the duties of the President, or in the event of an inability or refusal of the President to act; the Board of Directors shall appoint one of the Vice Presidents to act as President and perform the duties of President for the unexpired portion of the President’s term. When so acting the appointed Vice President shall have all the powers of and be subject to all the restrictions upon the President. The appointed Vice President shall perform any and all other duties as may be prescribed by the Board of Directors. Section 7 – SECRETARY – The Secretary shall keep the minutes of regular and special meetings of the Board of Directors, including those which go into executive session, and minutes of regular and special meetings of the membership and the annual meeting in the Minute Book of this Corporation. Said minutes shall include, but need not be limited to, the date, time, and place of the meeting; the Officers and Board of Directors as either present or absent; and a general description of all matters discussed or decided and a record of any votes taken. Copies of the minutes shall be distributed to current Officers, members of the Board of Directors, and the editor of the Scribe prior to the next scheduled meeting. The Secretary, if so requested, and with the approval of the President, shall allow any member in good standing of the Corporation to examine the Minute Book of this Corporation. The Secretary shall, in general, perform all duties incident to the office of Secretary and such other duties as may be assigned by the Board of Directors. Section 8 – TREASURER – The treasurer may be bonded for the faithful discharge of his/her duties in such sum and with such surety of sureties as the Board of Directors shall determine. The Corporation shall bear the cost of this bond, if any. The Treasurer shall give a written and verifiable report on the Corporation’s finances at each regular or special meeting of the Board of Directors. The Treasurer shall be responsible for all funds and securities of the Corporation. The Treasurer will make available at each regular Board meeting the detailed records of the previous month(s) for review by a member of the Board of Directors. The Treasurer shall give receipts for monies due and payable to the Corporation from any source whatsoever and shall deposit such monies in the name of the Corporation in such banks, trust companies, or other depositories as shall be selected by said Treasurer, with the approval of the Board of Directors. The Treasurer shall, in general, perform all duties incident to the office of the Treasurer and such other duties as may be assigned by the Board of Directors. Section 1 – STANDING COMMITTEES – There shall be such standing committees as are deemed necessary to carry on the work of the Corporation as determined by the Board of Directors. Section 2 – TEMPORARY COMMITTEES – There shall be such temporary committees as deemed necessary to carry on the work of the Corporation as determined by the Board of Directors. Section 3 – COMMITTEE CHAIRPERSONS – Committee chairpersons shall be appointed by the Board of Directors. Section 1 – NOMINATION OF DIRECTORS AND OFFICERS – The nomination of candidates for Officers and members of the Board of Directors of this Corporation shall be the responsibility of the Nominating Chairperson. Section 2 – SELECTION NOMINATIONS CHAIRPERSON – The Nomination Chairperson shall be a current member of the Board of Directors. The Nominations Chairperson shall be selected and agreed upon by a majority of the Board of Directors. Section 3 – NOMINATION DEADLINE – The Nominations Chairperson shall recruit and name a slate of candidates for Officers and members of the Board of Directors by or before September 10th. This slate of candidates shall be given to the President and shall contain at least one (1) but not more than two (2) names for each vacancy to be filled. The Nominations Chairperson shall include a brief biography for each nominee, and to have made certain of the candidates eligibility to be a candidate. This biography is to give experience and general information about the candidate, including, but not limited to, how long each has been involved in dressage or eventing; how long each has been involved with the Corporation and the office(s) held, if any; and what other involvements each has had in other equine endeavors. Section 4 – CONSENT – In all cases, written consent of the nominee must be obtained by the Nominations Chairperson prior to the publication of the slate of candidates on the official ballot. Section 5 – RESPONSIBILITIES – It shall be the responsibility of the Nominations Chairperson to strive for equal geographic representation among the nominees for Officers and members of the Board of Directors. Nominees must be persons who have shown an active interest in the activities of this Corporation as demonstrated by the nominees’ work and participation in said activities. The Nominations Chairperson must present these nominations and certify to the Board of Directors that each nominee meets the qualifications for the office as members of the Board of Directors and for Officers of the Corporation. No person may accept a nomination as a candidate for more than one (1) office at the same time. Section 6 – CERTIFICATION OF THE SLATE – The slate of nominees shall be certified by the Board of Directors who will then cause an election to be held in accordance with these By-Laws. Section 7 – ELECTION SUPERVISION – The Nominations Chairperson shall also act as the Election Supervisor and shall supervise the election of Officers and Directors and tabulation of the results thereof. The Election Supervisor may, at its discretion and with the concurrence of the President, employ an outside agency such as an accounting firm to act as tabulator and shall be honor-bound to maintain the confidentiality of the balloting to which the members of the Corporation are entitled. The Board of Directors shall provide a corporate seal which shall be in the form of a circle and shall have inscribed thereon the name of the Corporation and the words “Corporate Seal, Illinois”. Section 1 – POWER TO AMEND – The Power to alter, amend, or repeal the By-Laws or adopt new By-Laws shall be vested in the Board of Directors. Section 2 – REVIEW – The By-Laws shall be reviewed every five (5) years by the Board of Directors for the purpose of revision, alteration, repeal, or amendment. This review may occur more often if deemed necessary by the Board of Directors. Section 3 – REVISIONS – Proposed revision of the By-Laws must be presented to the Board of directors no less than twenty (20) days prior to a regular or special meeting of the Board of Directors; or, if by majority vote of a Quorum at a regular or special meeting of the Board of Directors, this presentation provision may be waived. Any change in the By-Laws of this Corporation must be approved by a majority vote of a Quorum at a regular or special meeting of the Board of Directors. Section 1 – Dissolution of the Corporation can only occur following a two-thirds (2/3) majority vote of the entire Corporation membership to dissolve said Corporation. The Board of Directors can initiate the dissolution voting ballot by a three-fourths (3/4) majority of all Directors. The Board of Directors will then oversee formulation and distribution of the dissolution ballot to all Corporation members. If the dissolution ballot is sought during the first three months of the new year membership renewal period, the membership’s list from the previous year will be used for the voting. Section 2 – In the event of the dissolution of this Corporation, any remaining funds in the treasury, after all outstanding debts are paid, shall be distributed half to the Eventing Committee and half to the Dressage Committee who shall distribute these funds to a nationally, not-for-profit equestrian organization or organizations of the committee’s choice. Section 3 – The period of the balloting shall not exceed sixty (60) days. After this ballot period, if two-thirds (2/3) vote as defined in Section 1 is not received, then the move to dissolve this Corporation shall fail to pass. Individuals performing the function of Editor of the Corporation’s Scribe – The Scribe or Webmaster require a special education and skill level. There may be other similar functions serving the Corporation from time to time. These functions require an extensive time commitment above and beyond volunteer hours for the Corporation. The Board of Directors may deem these positions to be compensated at a monthly rate determined at the beginning of the fiscal year to last twelve (12) months. The amount of compensation will be reviewed and adjusted on a yearly basis. The Board of Directors assigns responsibilities of the Annual Awards Program to the respective Committees (Dressage and Eventing) and separates it from the By-Laws. Any significant change to the awards program must be presented by the respective Committee to the Board of Directors for approval. This separation allows flexibility at the committee level to modify awards. 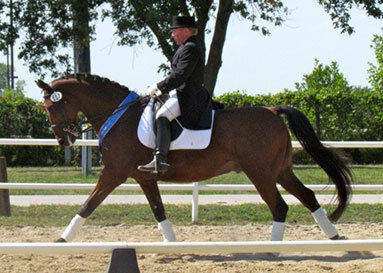 The Dressage and Eventing Awards Rules are outlined in the Policies and Procedures of the Corporation’s Handbook. Volunteer Hours or Fee requirements remain the same for Dressage and Eventing. The Volunteer Hours or Fee for Annual Awards are outlined in the Corporation’s Handbook.